Oh man the night terrors of pregnancy! I cant stand it. I woke up last night sweating, crying, and shaking from a dream that seemed so real. They all seem so real and so scary when your pregnant…Why??? I had this rediculous dream that someone broke in (steven wasnt here [he is out of town right now anyways]) and tried to stab me and I just kept crying ‘dont hurt my baby’ , he hept cuttingmy arms and when he got a crazed look in his eyes he went for my stomach and I woke up screaming. I looked down and noticed that I was gripping my stomach so hard and was sitting up- bent over (that is some deep sleep!). Dreams never used to bother me till one day…. The night before we found out that Seth died, Steven woke me up and in a panic told me that he just had a dream that the baby died and he dosnt know what he’d do if he lost us. The next day we found out that baby Seth passed away and my blood pressure remained so dangerously high during labor that the nurses and doctors were scared that I was going to have a stroke. Ever since then, every eerie dream that I have really bothers me. I have had some scary dreams about something happening to the baby that I wont even type out because I just want everything to go right for this baby, even a dream scares me… its sad, I sound like a child but what would you feel like after that happened to you. I cant stand it, these are not just bad dreams, they are real night terrors. when you wake up sweating, shaking, and screaming, its not just a dream. I just cant wait. I am always so anxious about how the baby is doing. Its hard in these early months, you just have no clue what is going on besides your stomach growing like an elephant. Looking back at my old pictures of my pregnancy with Seth, I am now the size that I was when I was 22 weeks with him … but right now Im only 15… Its almost embarrassing but- I havnt gained more than 2 pounds, my stomach is just pushing outwards, the gas has finally gone away lol, now I just deal with peeing on myself….. very sad… but I totally feel the baby bouncing right on top of my now flattened bladder and even when I dont have to use the potty- I do. I am just beyond excited to have a baby here and I am so impatient. I am finally trying to get all my crochet stuff going. 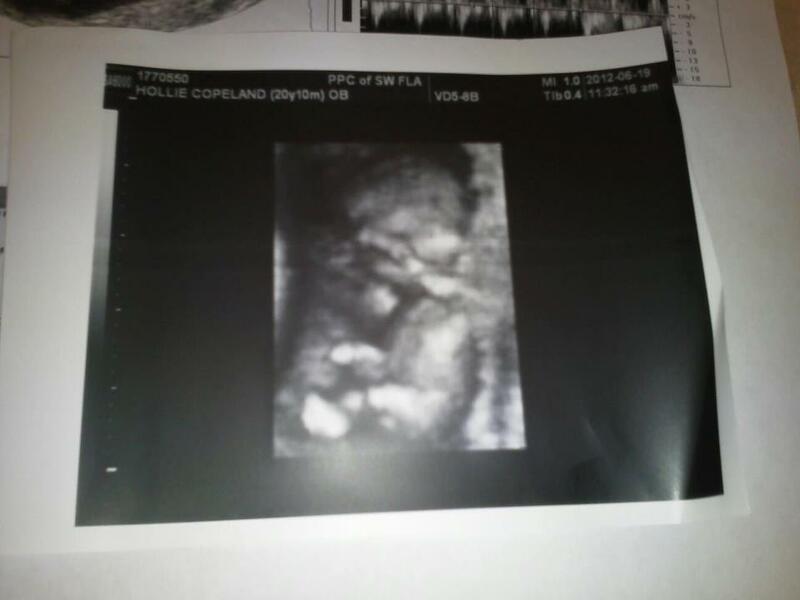 My goal is to raise enough money for my 3D ultrasound for the family to see and then if I make more than that I want to give it to my husband to build a buggy that he really wants. He has done a lot for me and has given up a lot of his man projects since we have gotten married so that he can provide and give me what I want so I really hope to make enough to be worth it for him. Im just excited that I get to crochet :). Tonight I have the ER- wish me luck, I hope its an easy night with good Doctors because I have a sinus infection and I feel like my head is going to explode, its hard to just breathe. Admitting that I am great at procrastinating, I will do it some more this morning. I am attempting to put off cleaning. Unfortunately Steven has to work (yeah on a Saturday, yuck), so I slept in and made breakfast and like a grown woman, am sitting here doing nothing. I always have these goals (ie. get cleaning done before Steven comes home so I can spend time with him) but they never happen in time. Besides I think he is going to hang out with a friend after work so…. yeah, fun. After the maid comes to clean the house today (me…. believe me I would hire one if I could afford it lol) then I will probably sew. I am also highly thinking of opening an archives.com account. On livingsocial.com they have a deal for a 3 month subscription for 10 dollars, that would be cool to find things out about my massive family. I have this cough and sore throat this morning, hope it goes away, but the cool thing is I just coughed and felt the baby move and NO LIE, I saw my stomach move for the first time! Im 14 weeks and its great, as a non first time mom I know what baby movement is vs. gas :D. It was not any STRONG kick but I could feel the baby roll over and I looked down at my tummy and for like 5 long seconds and could see my stomach move and when baby settled down tummy stopped moving woohoo. I was just laying in bed this morning thinking about how my tummy is getting bigger and moving is becoming uncomfortable (it is true, second baby makes the belly grow way uncontrollably faster). I thought, WHYYY, WHYYY did I want to do this again? …. because its beyond worth it! Part of me wonders where I would be if I did not chose this path. I told Steven before, and I would still do it today if I was not married- when I graduated I wanted to join the military. I want the challenge, I want the distance. Steven and I had a long conversation when I was about to finish high school and at that point without saying it out loud we knew we wanted to marry each other so I decided to not go away to school and not join the military. I stayed in this old town of ours (and went to school here) and am just as happy that I made a life with him and had a family. There is nothing else that I want. God knew what was best for me. Is it August yet? I want to see how big this baby has gotten! Man, I dont know about everyone else but when Im pregnant its all I can think about! I dont know how the men in our lives do it, they unfortunately have no way of being connected to a pregnancy until the baby is born. okay, I guess I have procrastinated long enough… 😦 I am such a child lol. P.s.- after actually getting to cleaning and listening to the radio, I head a commercial for a family who is fundraising for their daughter that lost her life to cancer in the area. For those of us who have lost a child, I have finally realized- sometimes the reason why it hurts so bad is because I cant imagine being a baby or small child and not knowing whats wrong, going through death, how scary that must be. 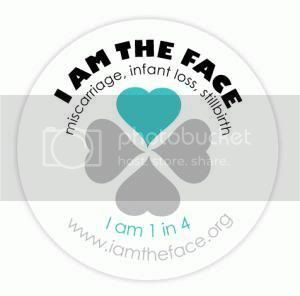 For a stillbirth I feel guilty that I could not see any signs. when I first found out that Seth’s heart was not beating at a long 33 weeks, I cried first because I was scared for him. What was he thinking? He was a completely developed baby, he would have made it if I would have delivered him the day before. A child’s innocence makes them stronger. Sometimes they dont know the fear that adults know about death. The loss, the absence, the pain. They dont know. Thats the pain that a parent carries with them forever. Wanting to be the one who takes the pain away. Love to that and every other family who has lost their beautiful princes and princesses. It is a very rough day. I have been throwing up every morning since last Sunday. I have definitely gotten more sick with this pregnancy than the last one now that Im getting further along. I am 11 weeks today and as sick as a dog and I do NOT want to go to work today I just feel weak and sick, like Im gonna throw up all night. anyways, with all of this sickness, I have a baby that I am so thankful for that it brings me to tears. I went to the doctor on Tuesday and he did another ultrasound. At 10 weeks and 5 days my baby looks like a baby now. I just feel like it is a he, I have no doubts but who knows. Lets call him a he for now lol. He was kicking and punching and rolling like crazy! The doctor even talked in a baby voice and said “look at that healthy baby!” lol. The heart rate was 158. I was so excited I forgot about throwing up that morning, (and every morning before that) and I just cooed over my baby. Im so thankful. I go to see the specialist at Maternal Fetal Medicine on Tuesday, Ill be 2 days shy of 12 weeks. Im almost sure they’ll do an ultrasound and do some more testing. I get to see the same doctor who checked me for my pre-conception visit and did all my kidney and liver testing. Anyways, I have to go prepare myself for work. I hope its an easy night. Today was my first ultrasound, from what I remember my LMP was 4-6-12. So I thought I was 7 weeks and 6 days. Well, I was pretty dern close! The baby measured 7 weeks and 5 days. YAY. The doctor started the ultrasound (the early ones are always akward, especially when you have a man doctor), and for a second I took some deep breaths because I was so scared. He said well…. theres the flicker? You see the flicker? This is a good pregnancy, its going to work! … Oh my word, relief is all I can say. A big burden lifted. I felt like an idiot because I needed to relax my legs after he said that cause I was all tensed up and started having back spasms so my legs started to shake like jello and he asked if I was ok lol…. *awkward*. The heart beat was 167, the baby still looked like an alien of course cause its so early but Im so happy to hear that this is good, everything is fine, the baby is growing perfectly. Thank Jesus. We were surprised there wasnt two, I just felt like we could have had twins, but Im happy with one healthy baby! Baby rainbow is due on 1-12-13 and I cant wait till he makes his debut!!! Time is going by fast thank God. I get another ultrasound in two and a half weeks. The doctor said he’ll have another extensive ultrasound at the high risk doctor done for me when I hit around 17 weeks and then I can know the gender. He said in the third trimester I will have to wear a monitor so they can monitor the baby’s movement and heart rate which is fine by me! that actually makes me feel so much better. He also said in the third trimester I will have a visit every other week between him and the high risk doctors at Maternal Fetal Medicine so I can be monitored. Woot. The doctor is so nice, Im glad. yeah… a lot ahead of us, one day at a time. Today I visited Seth. I called the memorial place and they said they place the vase when they set the stone, the vase was just upside down in the stone so it wouldnt get stolen so I turned it over and put two roses in it. One from me, and one for Steven. There are days like today where I’m angry. I feel like a failure as a wife and mom. I feel like I want to get away from everyone and everything, especially pregnant women. I just cant take it anymore. I cant stand seeing real pregnant people or hearing about people being pregnant, especially people I dont like because they were mean to me in the past. Why do they get the chance and I dont. I just feel so distant and hopeless. Where did everything go, it seems like my whole castle crumbled down and now there is nothing in sight. Everything is in pieces and we arnt ready for a family but why- that makes me angry, I want to. I cant stand it, I just want them to go away. I want to get rid of my facebook because its infested with pregnant women but it has ALL of my pictures of everything including Seths things. My last computer crashed and I dont have anything from that computer and I dont want that to happen again and not have any back up. Im just thinking so irrationally. Today at the grave site I was laying on the ground (in my scrubs again) and some lady came to put a balloon on the grave next to me and she left and I cried and cried. 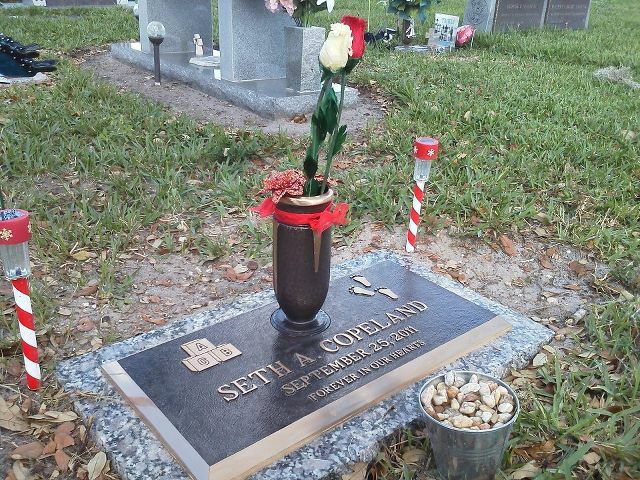 I thought for a slight second, Ill just dig the grave up and see Seth one more time and put the dirt back…. WHAT KIND OF THINKING IS THAT? I just laid there while all these maintenance men came by, I dont care. It just makes me mad that people get to see their children every day, women become mommy like after having a baby, things change- BUT what about me? what about my life and my family? Just give me something to believe in that this whole mess will be put back together and I will have a baby soon. I just want to finish school and have my baby. I have not felt a melt down like this for a while. 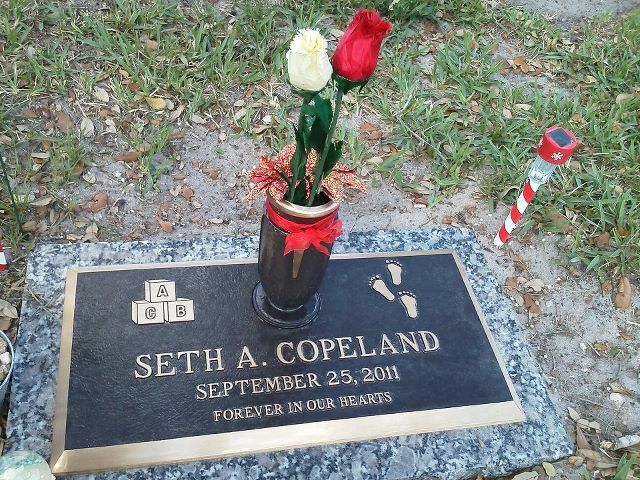 I think another problem is, We have now officially come full circle to one year of all my thoughts with Seth. Tomorrow on Valentines day, it will be 1 whole year since we conceived Seth . Yes, we made him last valentines day, we did. Valentines day will not be sweet this year, I will not enjoy it. We arnt even doing anything anyways. I just need to spend the night alone, in bed, half-asleep.